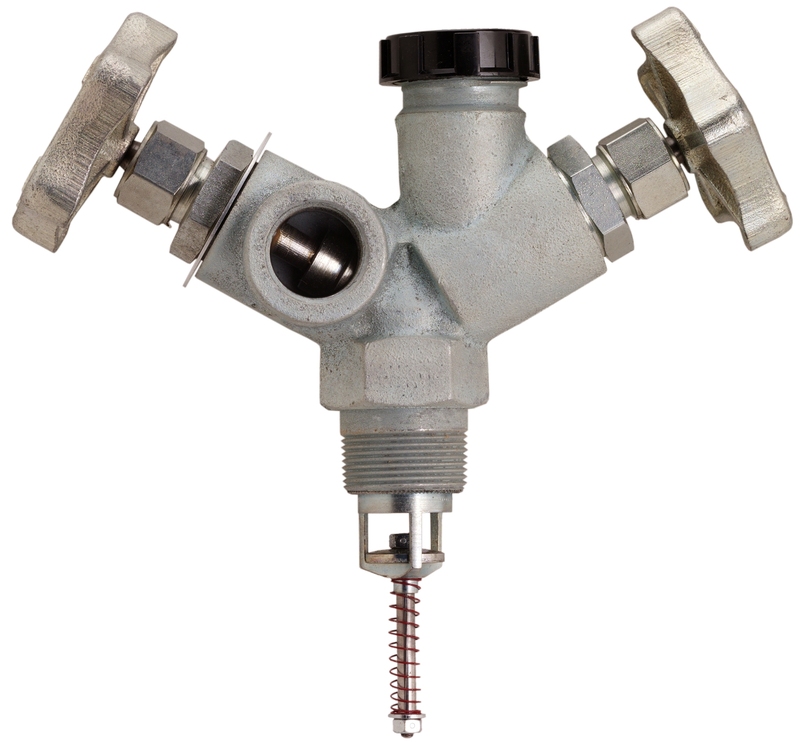 Caution: We offter 2 styes of tank valves, top mount or open yoke and bottom mount or close yoke. 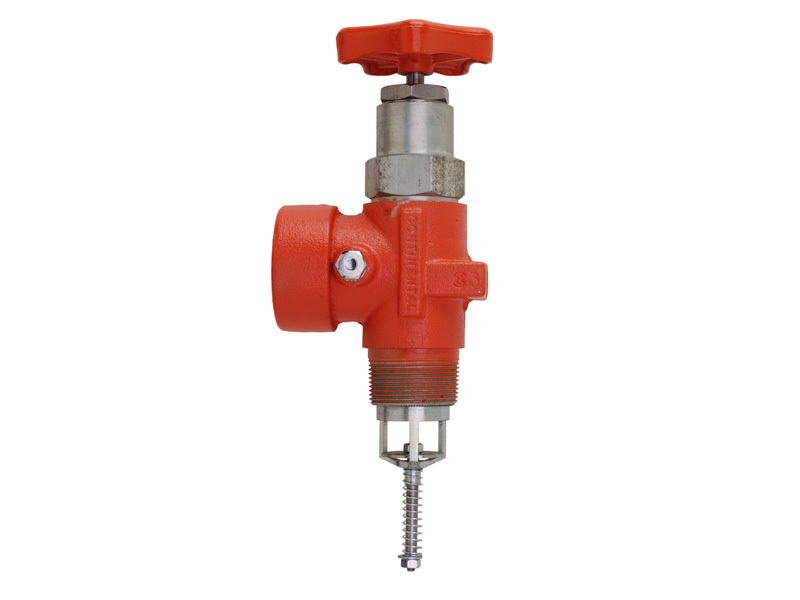 When ordering please make sure to purchase the correct mounted valve. If you are unsure of what to purchase please give us a call. Catalog No. 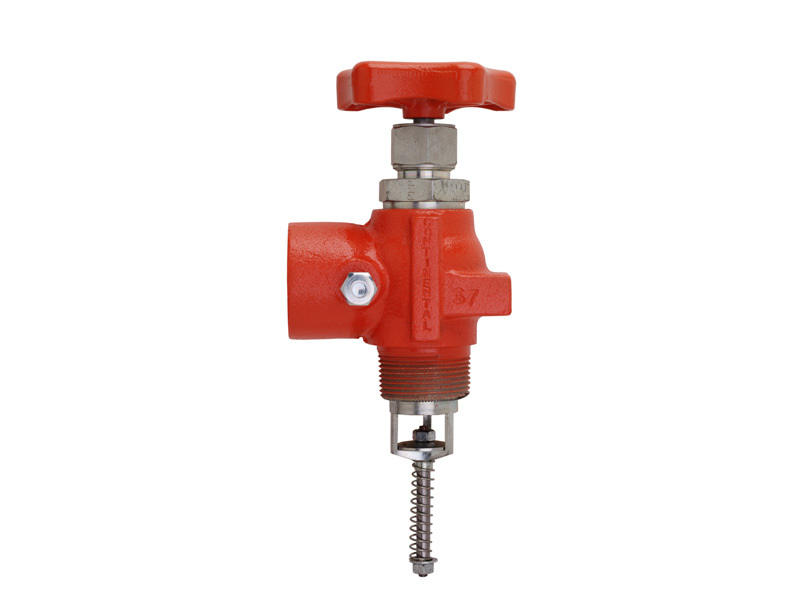 B-1201 is a high flow, manual shutoff valve for applicator and nurse tanks. 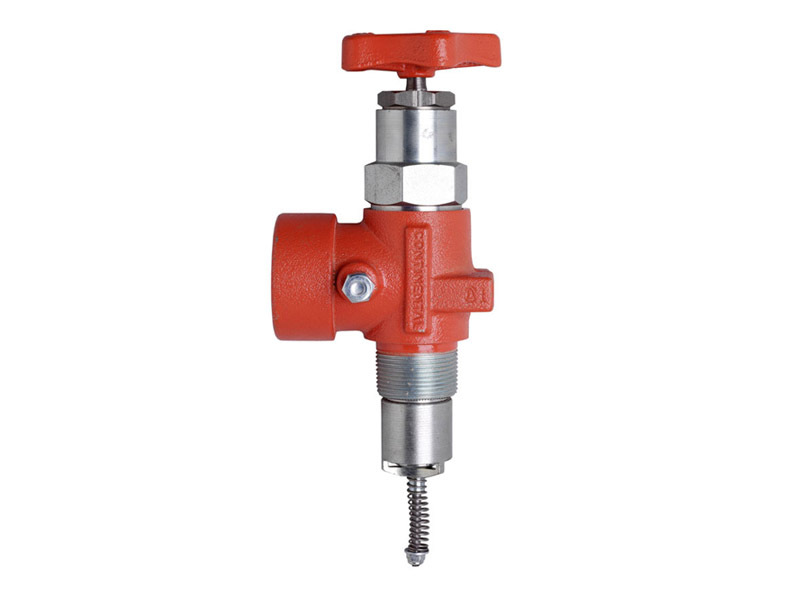 It is designed for use as a filler, liquid or vapor withdrawal valve. The rugged ductile iron body is an assurance of durability and a long service life. 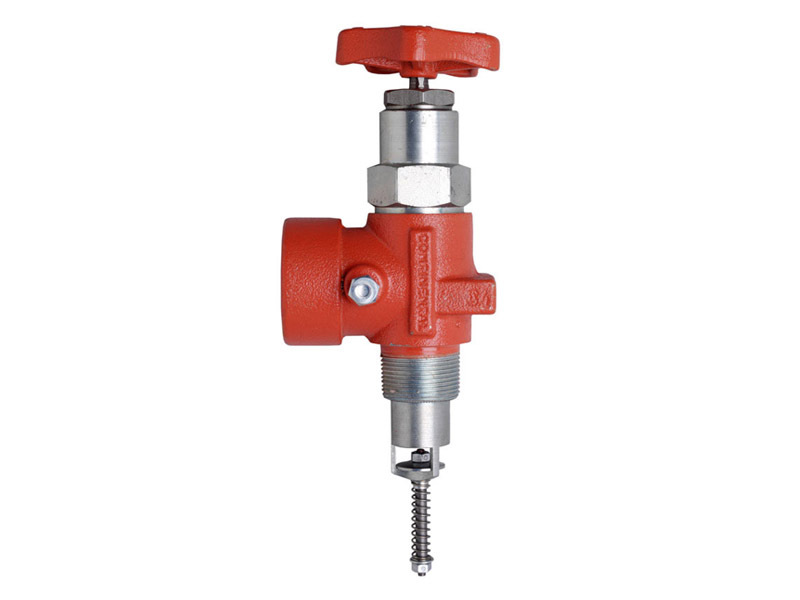 The built-in excess flow check assembly provides maximum safety in the event of an accidental hose break. Stainless steel stem - precision ground and polished. Spring loaded"teflon" stem packing - positive seal with pressure tested at 400 psi. 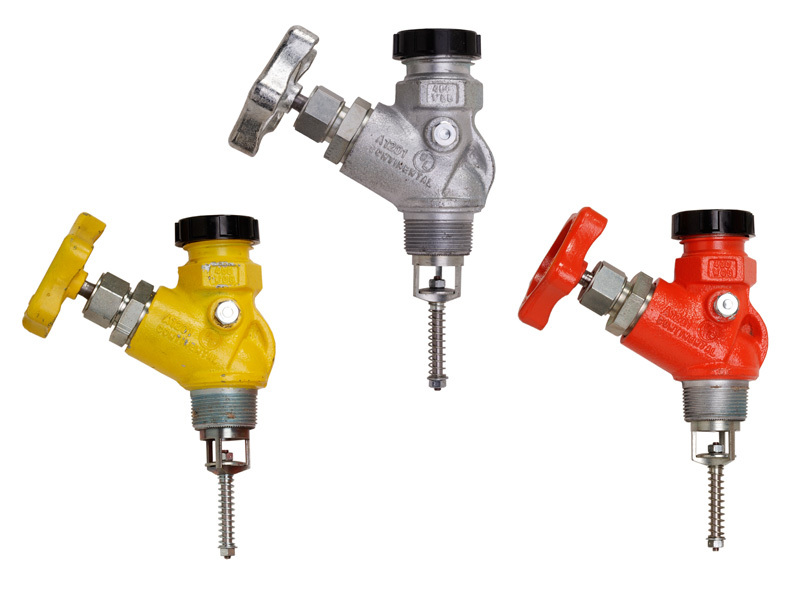 Optional double coated, zinc plated and painted for extra protection. 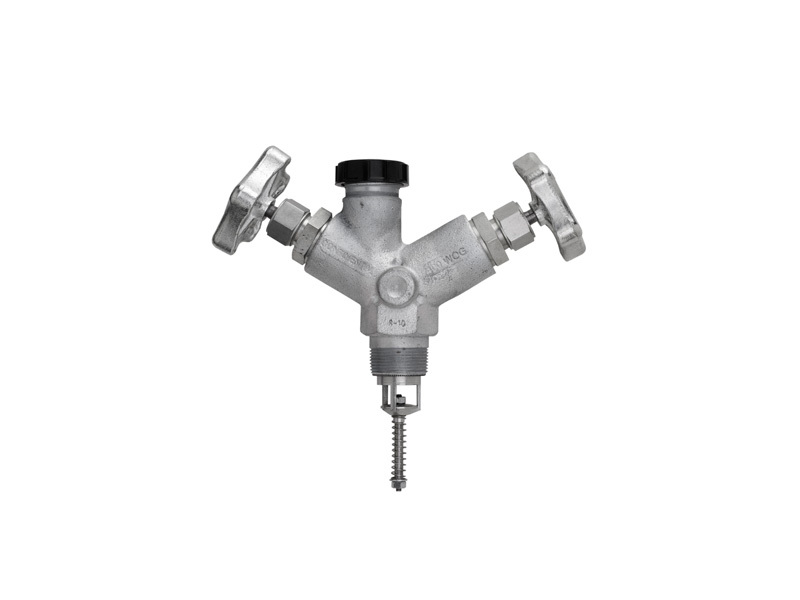 Excess flow check assembly of all valves individually inspected and checked after assembly to assure accurate and dependable operation. Spring loaded packing for a free spining hand wheel. The B-1205 series valve has 2 individual outlet ports. Each one isolated to its own shut hand wheel. 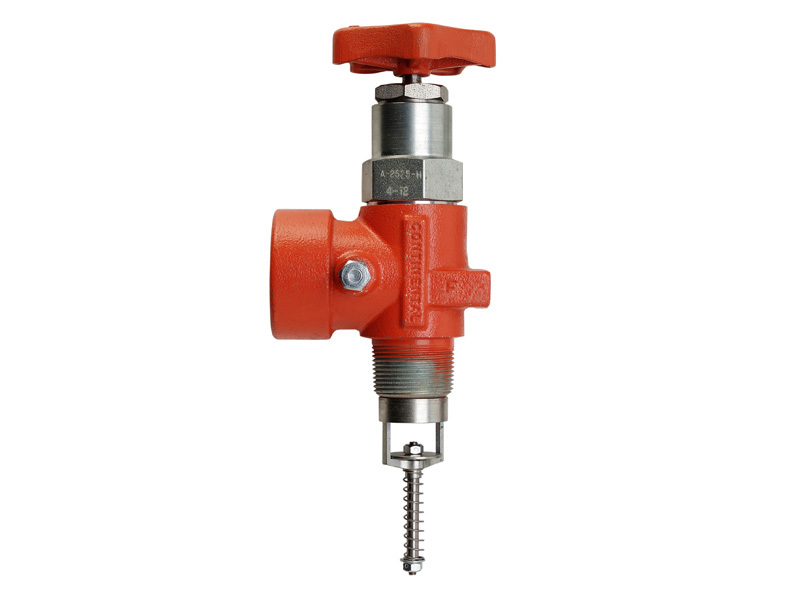 Great for filling and withdrawing from the same port. 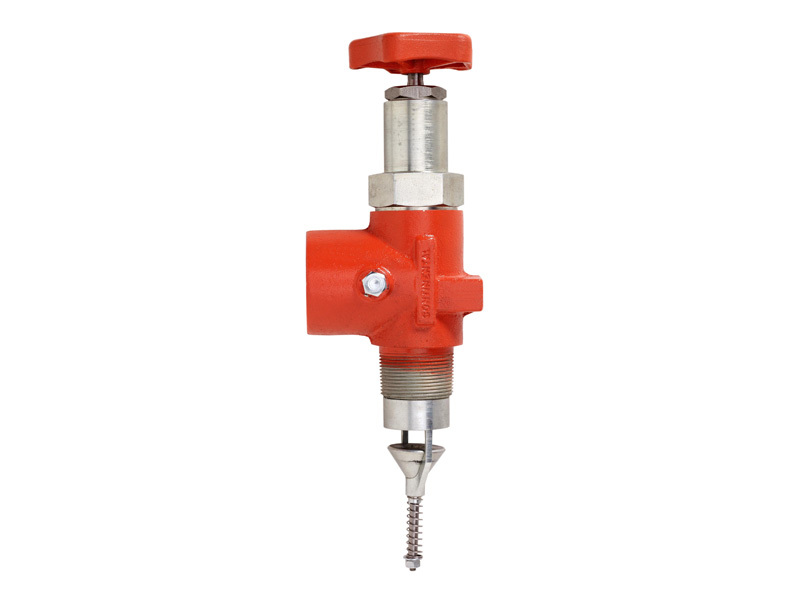 Withdrawal valves are available in a wide variety of connections, from 1-1/4" and 1-1/2" MPT tank connections with 1", 1-1/4" or 1-1/2" FPT outlets as well as 2-1/4" ACME male outlets. 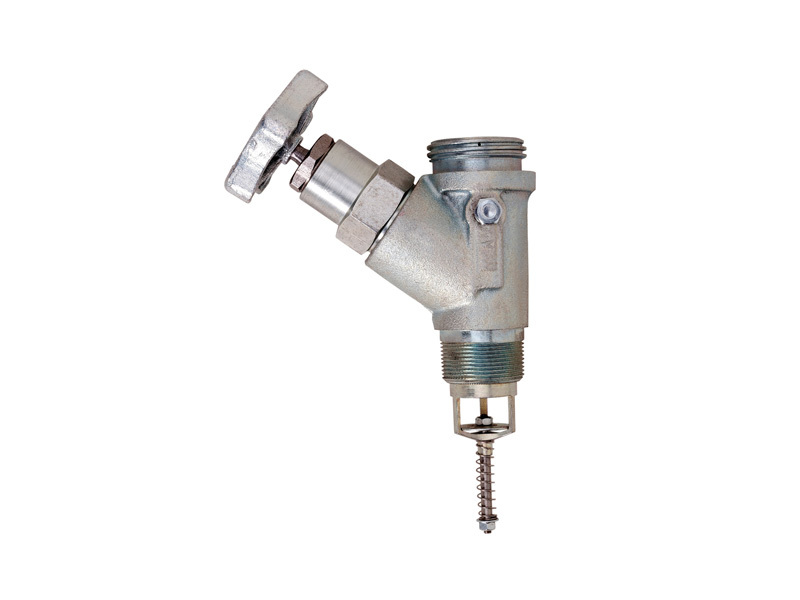 A 1/4" FPT outlet port is also provided for the installation of a desired accessory. 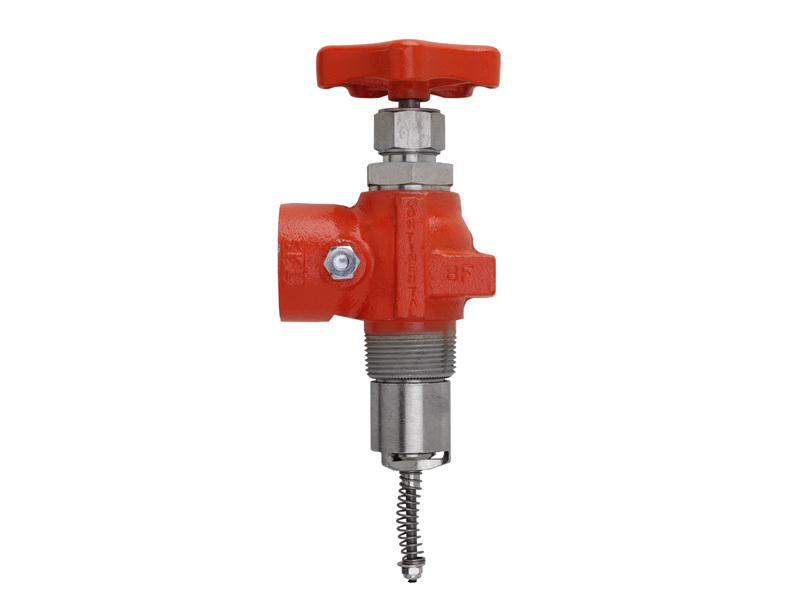 This particular valve can be used for vapor, filler or liquid withdrawal.